The envelope was made of heavy stock. It had that “Christmas Card” heft. In the corner was a postage stamp of a festive snowflake. In the top-left corner was a return address sticker. The old-school kind used by us pre-millennial folks. There was clip art of an idyllic wintery scene of a house, peacefully alone in the wilderness, surrounded by evergreen trees, and dusted with freshly fallen snow. So Christmasy! Well, I’ll be! Chris, you old dog! What the hell have you been up to all these years? Sending a Christmas card out of the blue? That’s classic Chris, that’s for sure. Who the hell is Chris Thomas?! The neighborhood echoed with the sound of my heart shrieking in pain. It was just made one size smaller. Squinting in distrust now, I looked at the return address more carefully. I don’t know anyone in El Segundo! Taking out my electron microscope, I reexamined the addressee. It was supposed to look handwritten but it was obviously a font. A sneaky damn font. This was some kind of pre-printed thing meant to only appear like it was done by hand. My heart got yet another size smaller. Lastly, I noticed the machine coding on the bottom of the envelope. Hmm, I thought to myself. Most humans don’t take the time to add that. What does this mean? Either the envelope was created by a machine or one of those damn millennials who had taken a bar-coding calligraphy class. If you are not 100% satisfied I want to know! Like an automaton I went through the motions of sliding open the envelope. Slick, full color glossy advertisements for DIRECTTV spilled out and covered the table. I wasn’t surprised. There were no wishes for peace on Earth. There were no tidings of comfort. No tidings of joy. No one asked me to don my gay apparel. None of that mushy stuff was there! “God bless us, every one,” I yelled again, this time with feeling. Things were back to normal in the Abyss. Yes, DIRECTV. I have noted your attempt to initiate a business relationship based on deception. Nothing else matters except getting ’em to open the envelope, right? To sign on the line that is dotted. Would you push your own grandmother off a cliff to make it so? I bet you would. It’s actually refreshing to get that much honesty about how fraudulent you’ll be at every turn if I should decide to hitch my wagon to your horse. I appreciate knowing who you are up front before getting into bed together. Win at all costs. That’s the DIRECTV reason for the season. This is reminding me, I haven’t received my new calendar from my insurance agent this year. How am I supposed to know that he wishes me a Merry Christmas (yes, no generic there) if he doesn’t send me one?? Every time you look at this calendar you are looking at me. Way to make me cry, Shouts! I feel so bad you got so excited about receiving a Christmas card that I’ve signed you up online with every service provider I could find. Your mailbox should soon be overflowing with “special” offers and promotions. Brief periods of exultation followed by protracted despair. Or, as I like to call it, just another day in the Abyss. Good to know some things don’t change. Good God, can you not have mercy, Chris Thomas? Seriously, there is many a postman trying their best to deliver merriment and joy. You sucker punch us with a bargain, a deal, a real steal, all in the hope of earning pennies and fame. My postman is 86 year’s old. He’s required to distribute your recycled “trash” by law, or Johnny-the-law is going to poker-face him with a shiny bracelet that can only be worn while having both his hands behind his back. Then he’ll have that lovely ‘sleigh ride’ across town, bells ringing, until arriving at, The Cop Shop. It’s a real gift shop in there! Christmas photo’s to be taken and distributed, finger printing classes and the infamous cavity searches to see if Mr. Postman has avoided delivery of your mayhem anywhere along his route. I’ve had it with the likes of your kind! Right here, right now, I suggest we gather as one and take matters into our own hands. We’ve got your address. Are you ready for your gift? Junk mail, no more! We’re mailing it right back to you. Yes, unfortunately our poor postmen and ladies will be overly burdened, but eventually the tide will turn. In the spirit of Christmas let us wish a “Merry Christmas to all, and to all, a good night!” (Clement Clarke Moore.). Except for you Chris. You’ve burned up your allotted time with your ‘fake-out’ Christmas carding. Funny (OK, not so funny), my DIRECTV “Christmas Card” envelope looks just like yours! They can run, but they can’t hide. Thanks, John. 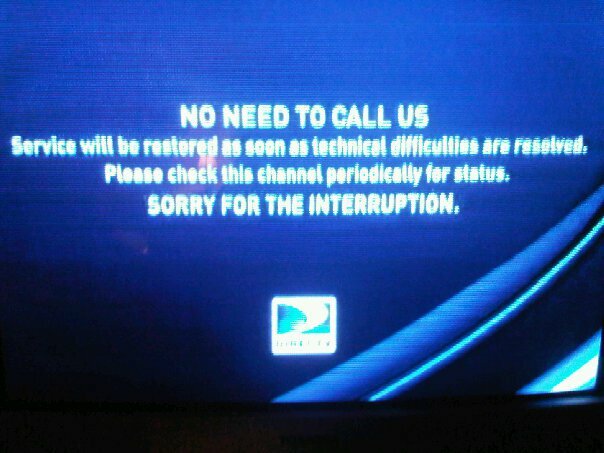 The bastards at DIRECTV aren’t giving up on this scheme. They still come. Like a scene from Lord of the Rings. Want some cheese with that whine? I get advertisements from them several times a week. Conveniently, I have a recycle bin between the mailbox and the front door. A yuletide cheese log would be awesome, thanks! Sorry Chris Thomas hates your guts, too. Thanks to the poster who supplied the addresses for corporate. 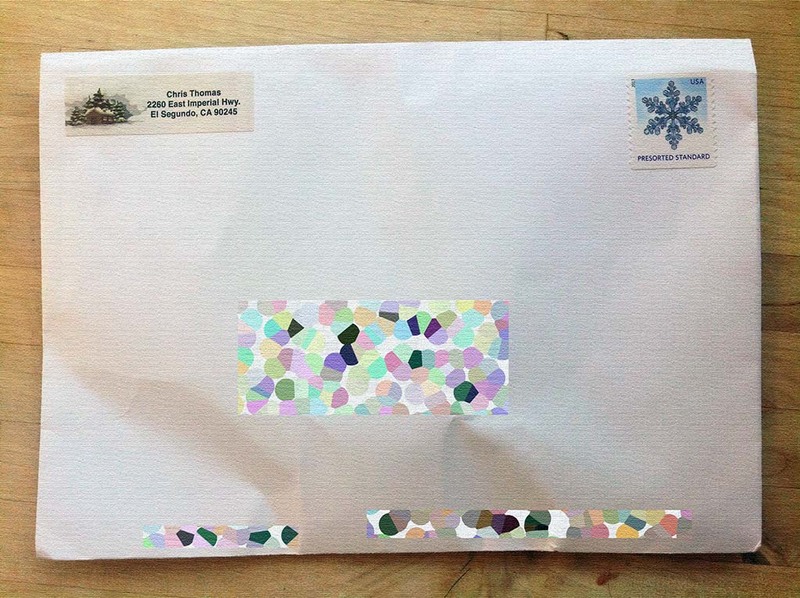 I think this is a sleazy practice and every time I see the envelope I think of the old people who live alone and think they are getting a card from relatives who live far away.